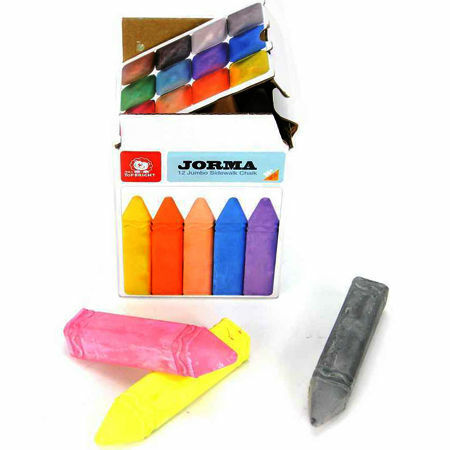 Jumbo Pavement Chalk 12 Pieces is a sturdy box of 12 pieces of chalk in 12 different colours. Wonderful for a creative time outdoors and when your done just wash off or even better just wait for the rain. We like this because: "Great outdoor fun"